If you have been charged with a traffic offence in Mississauga, call Ticket Defenders®*, the experts in traffic ticket defence in Mississauga, for a free, no obligation evaluation of your case. We provide defence services for all traffic tickets, including: Careless Driving charges, Stunt Driving charges, Speeding Tickets, and other traffic charges. Our mission is to secure the best possible outcome for your matter. If we cannot have the charge dismissed completely, we will strive to have it reduced to a lesser offence to save you demerit points, fine amounts and insurance increases. Our highly-trained team of traffic ticket agents will explain you what we can do to assist you. Mississauga court is one in which we have been appearing for over 15 years. 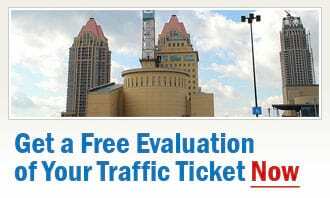 Our experience in defending traffic tickets in Mississauga will serve you well. Call our experts on traffic ticket defence in Mississauga today to arrange for your free, no-obligation traffic ticket consultation.